She's an oldie! ( Around 140-150 Years Old. But has wonderful potential and a comfortable homely feel. 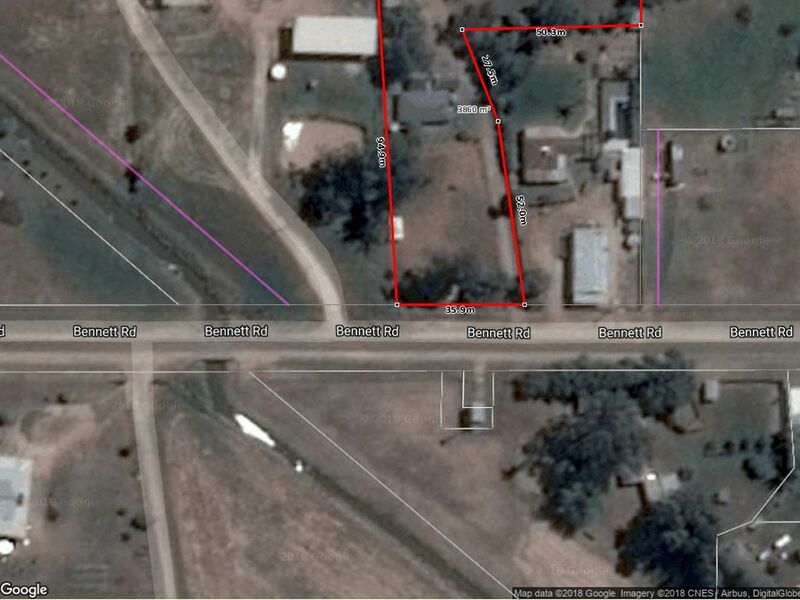 A great starter property on just under 1 acre,7 min drive Rochester, 20 mins to Echuca. Home was Re-Wired around year 2000. This 3 Bedroom home (plus study) offers spacious lounge with wood fire, lovely exposed brick feature wall and mantel piece. A S/System also offers both heating & cooling in this living area. The galley kitchen offers good space and the dining area has direct access to outside.The bedrooms are all generous size with ceiling fans. Walk in Linen/ storage area. Enjoy the u/cover entertaining area with a terrific bricked bbq. Outdoor features water tanks, ( 15,000 gallon rainwater storage capacity) 1 Meg GMW H Rel water allowance & 2 dog runs with concrete floor and chook pen. The abundant shedding comprises of large 4 bay machinery shed with power /lights, smaller corrugated iron shed currently used as 1 stand shearing shed , 2 paddocks both with stock troughs and front paddock features existing stable/shelter. A smaller corrugated iron lockable shed located in the rear of the backyard is currently used as feed and tack room. The property has good internal and boundary fences. the options are endless.
. Quiet and tranquil, a great little place to call home.